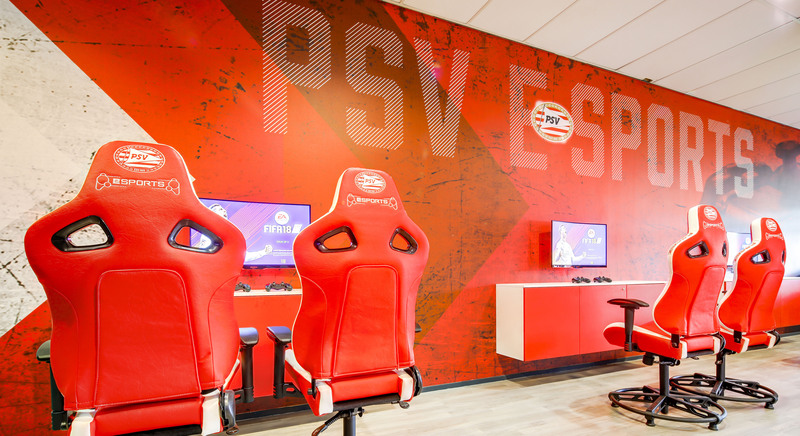 The Philips Stadium is the home of football club PSV and one of the most famous buildings in Eindhoven. Since the establishment of the Philips Sport Association in 1913, the grand complex is located at the same location in the center of Eindhoven. 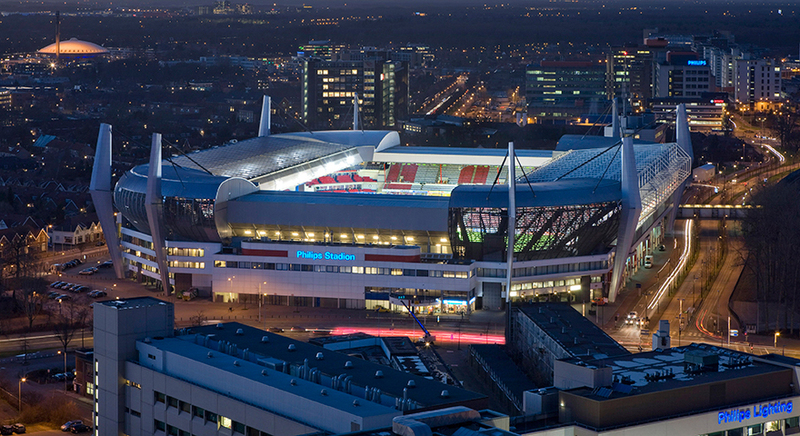 The Philips Stadium is seen as one of the most beautiful football stadiums in the Netherlands. Because of the beautiful lighting and the fact that the seats are very close to the field, in combination with the excellent facilities, makes the stadium an ideal venue for business meetings. There is room for no fewer than 35,000 spectators and all seats are covered and heated. Besides competitions, there are many other meeting opportunities at the Philips Stadium, such as conferences, parties, seminars, meetings and presentations. The stadium has many spaces for all kinds of occasions. There are also three restaurants and a coffee bar on the east side of the stadium. 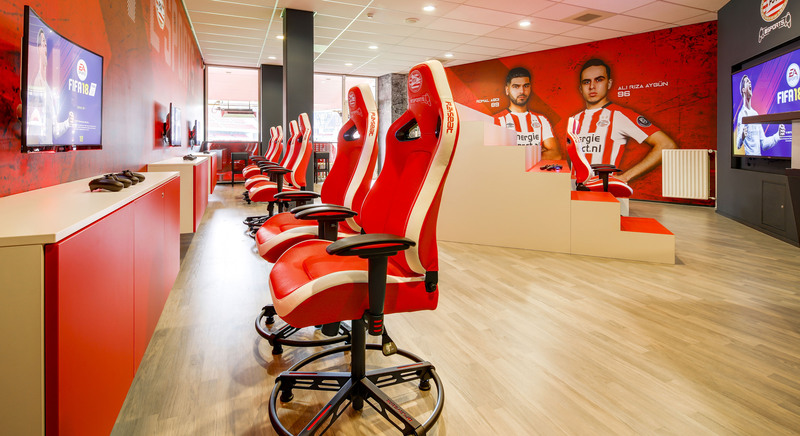 In the PSV FANstore supporters can shop for various beautiful souvenirs and PSV articles. 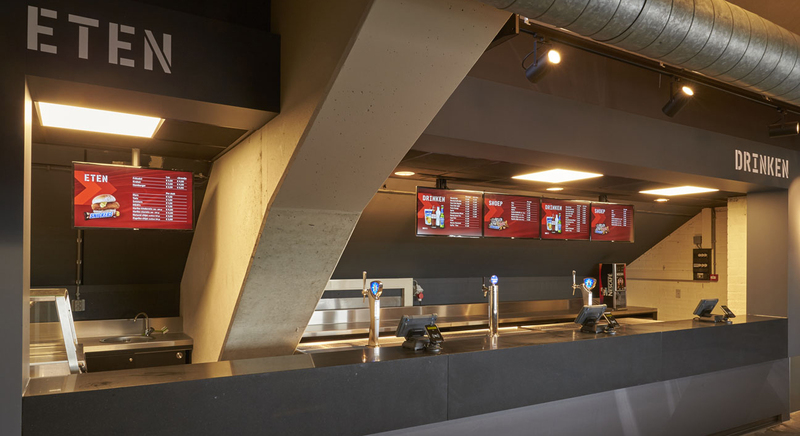 During the renewal and update of the Philips Stadium, all Vogel's solutions were installed by Mansveld Projecten & Services in the stadium's own hospitality spaces. The purpose of the update was to increase the revenue and make the atmosphere cozier, so that people would spend more time at the catering and lodging rooms. The renewal contributes to an improvement of customer experience. The project was realized within a period of 6 months. Within the stadium there are 50 displays that are mainly used for digital signage. The displays are used as digital menu boards and screens on which relevant information and promotions are presented. 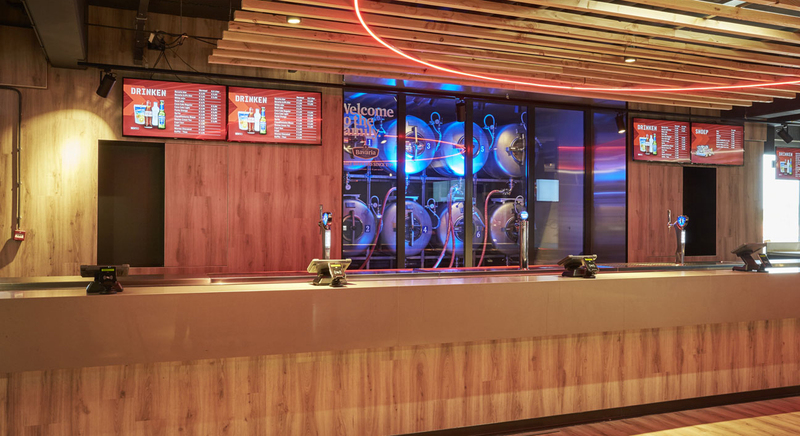 In addition, around 10 digital menu boards have been installed in the catering facility, with two to four monitors placed side by side on the wall and ceiling behind the bar. Two of Vogel’s Pro-AV solutions are used in the stadium: the Vogel’s PFW 6000 Series and Connect-it. 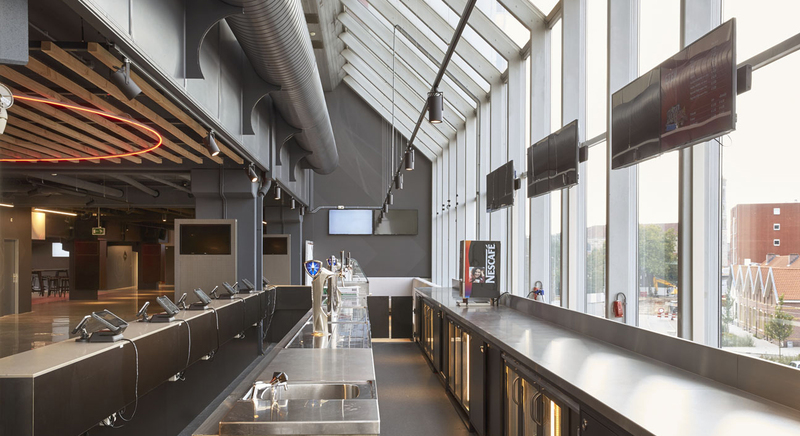 The Vogel's PFW 6000 series is chosen for the single displays in the stadium, because this series is perfectly suitable for public spaces, thanks to the built-in anti-theft lock, its solidity and ease of installation. 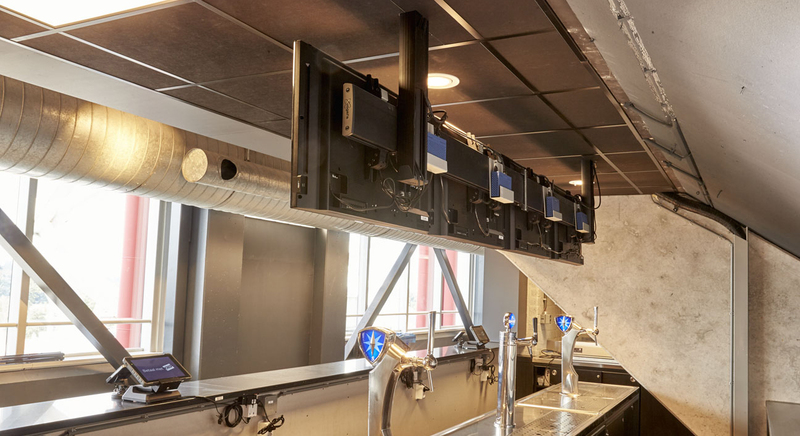 The Connect-it series is used to secure the digital menu boards above the bar. 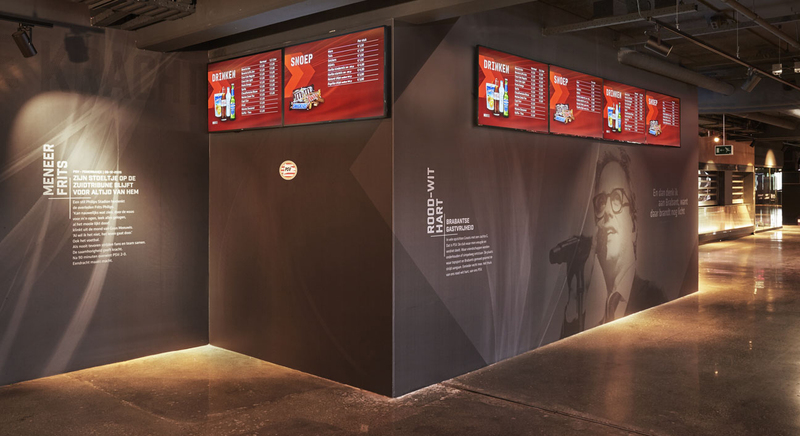 Connect-it is a firm modular solution, which is easy to install and is ideally suited to attach multiple displays tightly next to each other. Naturally, the screens must be at the same height and in perfect symmetry. This perfect positioning is realized through the fully adjustable 3D interface strips (PFS 3504), so that the screens connect seamlessly. The eSports Room is located on the northeast side of the Philips Stadium. The room features five game rooms that are equipped with special seats and TV screens. There is also a mainstage, with a mega screen of 84 inches. 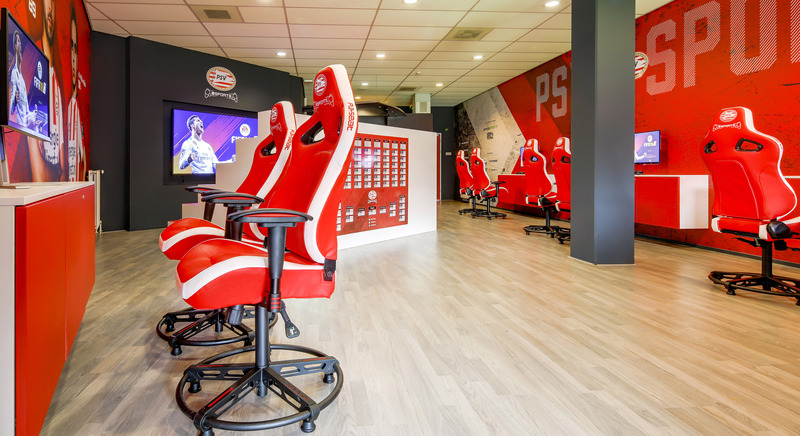 The eSports Room is equipped with modern technology for tournaments up to 32 participants. For the eSports Room there was a need for easy to install VESA 100 x 100 wall mounts with the monitor hanging as tightly as possible against the wall. In this way gamers experience the complete game experience. 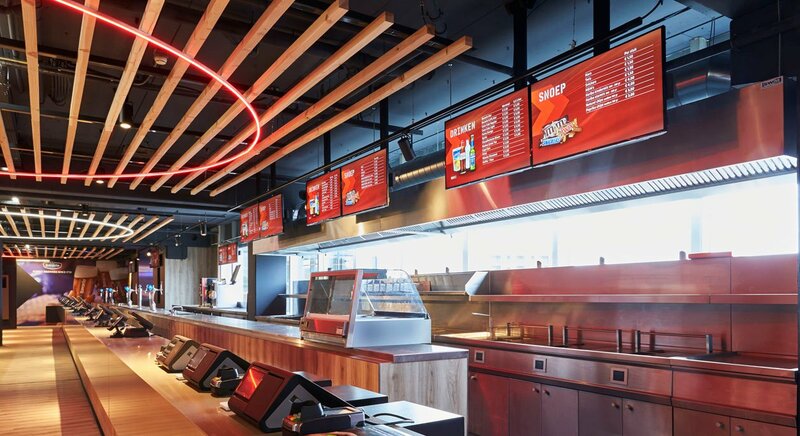 The project was realized in corporation between our Dutch importer Vogel’s Professional Nederland (VPN) together with Mansveld Projecten & Services. 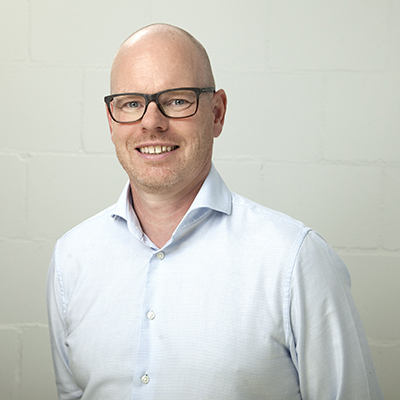 Mansveld was very satisfied with the guidance and the right advice from VPN. Also the possibilities the Connect-it system brought and it’s easy installation were positively received. I had a very pleasant coöperation with Vogel’s. This fruitful coöperation has lead us to creative and effective solutions.